Eyeshadow Makeup Palette: Highly pigmented eye shadow pallet, vibrant colors and easy to apply for exotic eye makeup looks. 10 Matte & 5 Glitter: A range of shades from a light, sheer green shimmer to a high, metallic blue finish, provides long-wearing, intense color payoff. Easy to Blend: Crease-and smudge-resistant shades and super smooth formula. Waterproof and long lasting, can stay on all day. Versatile & Lightweight: Various colors and mirrored compact. Soft pinks and browns for natural everyday looks and vivid brights for smouldering, smokey eyes. Great for Party and Daily Use: Perfect for smoky eye makeup, wedding makeup, party makeup and casual makeup. -Each is highly pigmented and easy to blend. 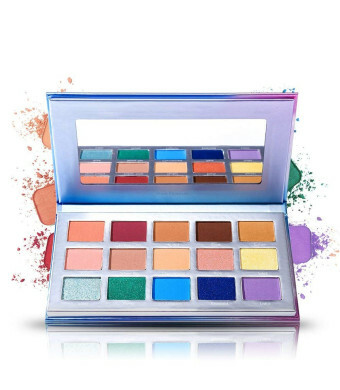 -The kit boast 15 luxurious eye shadows, with a mirror inside. -Great for creating endless looks-gorgeous. -A mix of bold and subtle colors with smooth texture powder. 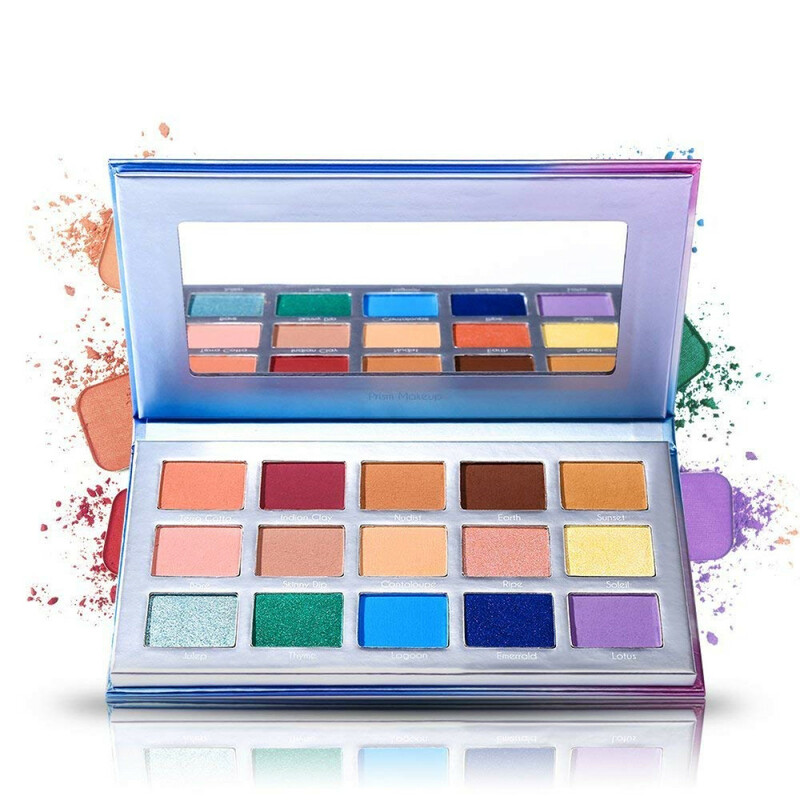 -Packed with 10 matte and 5 shimmer shadows, including all the soft hues you need. -5-never-seen-before shades: Shimmering pinks, metallic yellow, and a hint of glittering green, warm green shimmer and navy blue with micro sparkle. -Long lasting and cruelty-free. These velvety-smooth shadows stay color true. You can layer shades together or wear them separately on your eyes, face and body.